A typical Flash application, like a simple HTML web page, does not collect and store data on the server computer. To store information, you need to use a file or a database and connect to the file or database using so-called server-side or middleware software. 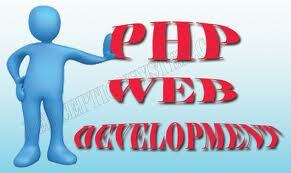 Similarly, a typical PHP application accepts form data from a HTML and produces an HTML document. This example demonstrates using Flash and PHP to store data in and extract data from a MYSQL database. Both PHP and MYSQL are considered Open Source tools. The PHP web application keeps track of votes cast for 4 choices. It is intended to represent a polling application, not a voting application. Please note that a real voting application would need to incorporate features to allow only legitimate voters to vote and to only vote once. A debate is going on now concerning various systems for electronic voting. One feature considered critical by many, though not all, is that the system produce a paper trail for each vote. This toy application does not include any of these features. The intent is to demonstrate how Flash can connect to a PHP script. Generally A basic contract with an Internet Service Provider generally would not include support of PHP scripts or MYSQL (or any other) database. This application and tutorial assumes PHP and MYSQL support and, moreover, assumes that a table has been created and initialized to hold the polling data. The php file must take the data, access and update the appropriate record in the MYSQL database, then access all the records in the database, format the results, and return this string of characters to the Flash program. Structured Query Language, SQL, is used to access the database. The table in the database is named votes. Each record has two fields (actually, each record has an id field, but that is not used. ): candidate and votes cast. In php, variable names start with dollar signs. This coding can help to solve this kind of concerns.